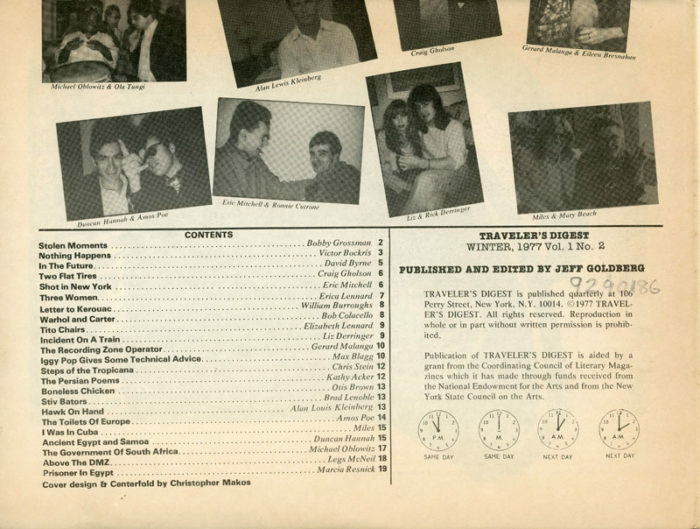 Winter issue, volume 1 number 2, for Travelers Digest Magazine, 1977. 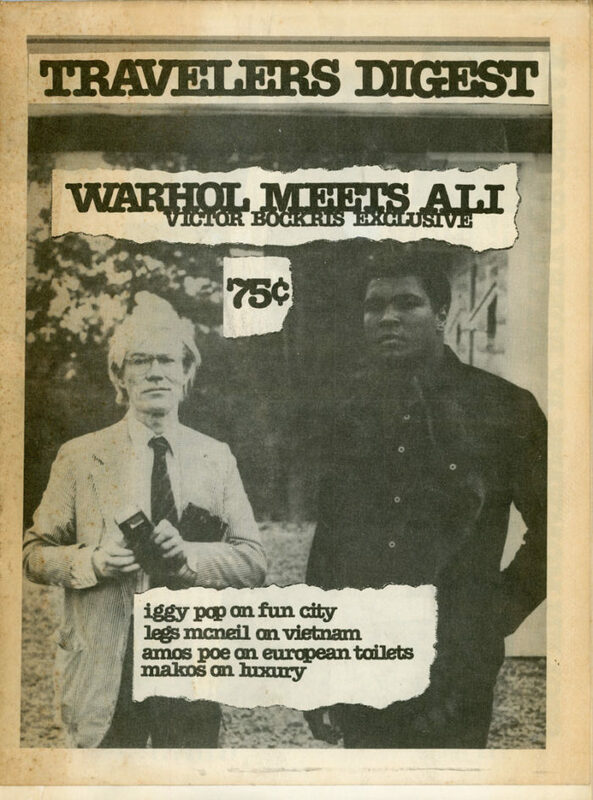 Features an article on Andy Warhol meeting Muhammad Ali, the DMZ by Legs McNeil, travels in Egypt by Marcia Resnick, and others. 8.5″ x 11.5″ when folded.